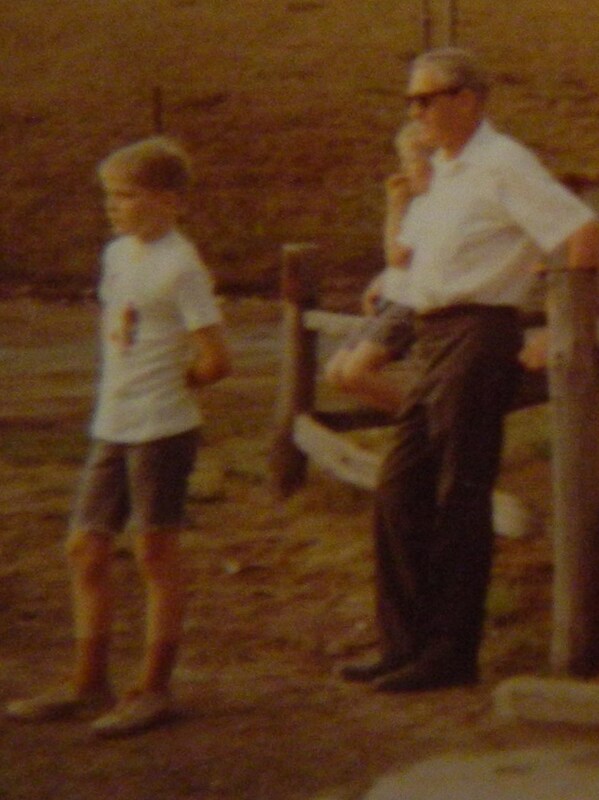 “Big Johnny” shown on vacation in Upstate New York with grandsons Mike and John. The list goes on, however, the latter is at the foundation of who he was, how we were brought up and is a phrase I have called upon through difficult times in my life. Big Johnny/Dad at Sunny Crest Farm. 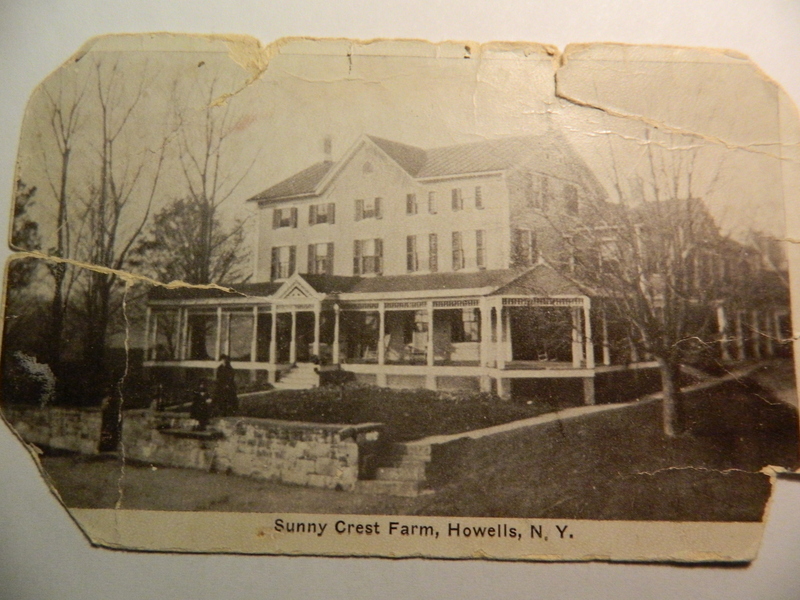 Sunny Crest Farm was also owned and operated by the Bennett Family. 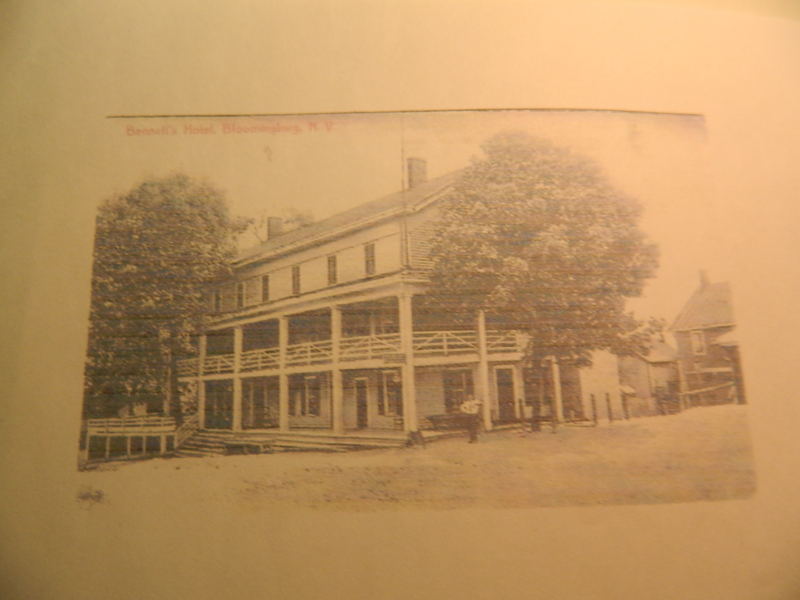 Postcard of The Bennett Hotel in Upstate New York. 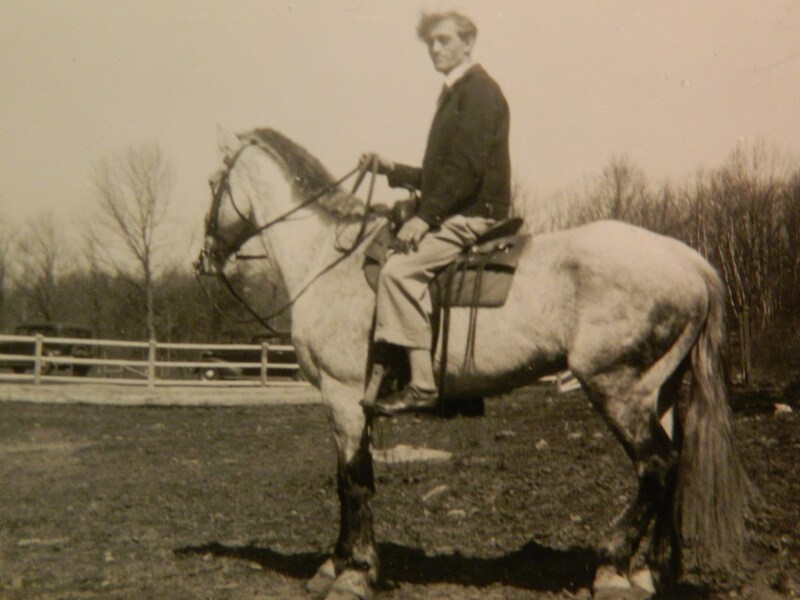 Dad was a hard-worker and a man of tremendous integrity and principles. Good manners were very important to him. One particularly vivid memory for me is of my mother (Cecelia), my Aunt June, my sister Candy, my niece Debbie and I out to dinner with my father when the language from a group of men at the next table got salty. My father stood up with his perfect posture, walked over to them, looked them in the eye and in a calm voice told them to clean up their act. They did. Always, Dad opened doors for my mother, my sisters and me and helped us on with our coats. In contrast to some fathers, my dad loved taking his girls shopping and nothing pleased him more than bringing all of us out – dressed to the nines. 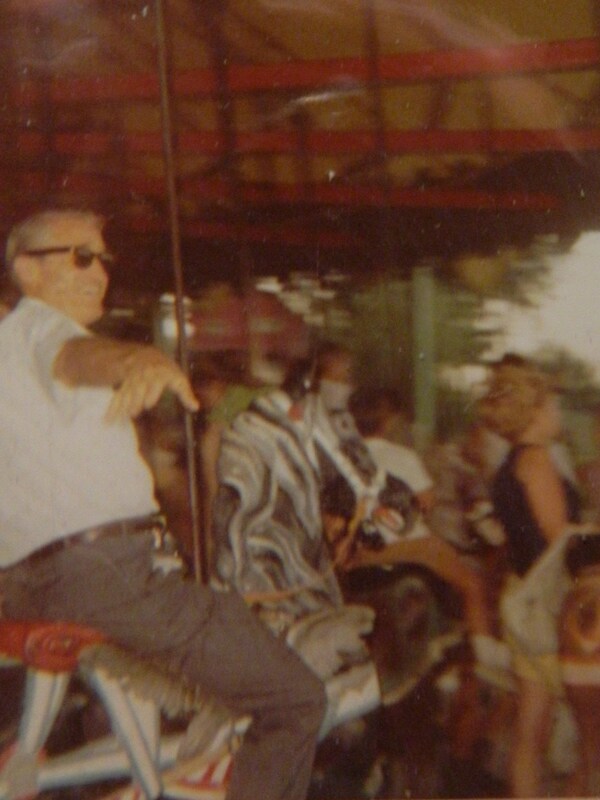 Big Johnny/Dad riding a carousel. Dad had a memorable laugh. To this day I can recall hearing his laughter while on vacation in Washington D.C. He was riding in a paddle boat with my niece Debbie and nephew Johnny, when Deb and Johnny got into a squabble over who should steer the boat. The situation struck Dad’s funny bone and he laughed and laughed. 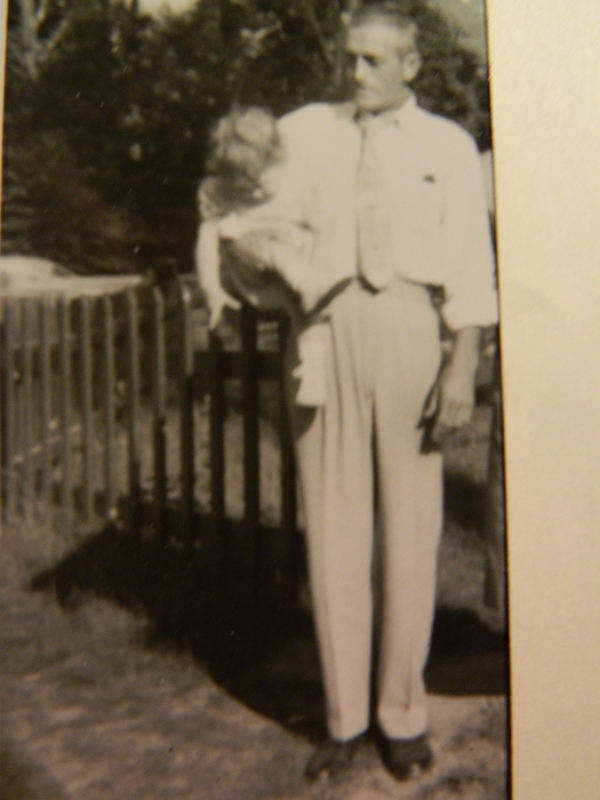 As a father and grandfather he was very present in our lives. Someone who no matter what could be depended on. I couldn’t help but think of my dad awhile ago when my niece Maryann was telling of being stuck in a snowstorm in her car. She said she had called her boyfriend for help but followed-up by saying – without a trace of doubt in her voice – “But I knew if he couldn’t, my dad would come get me.” Her dad being Big Johnny’s grandson Mike. Sunday mornings belonged to my father. He would heat up the griddle and make pancakes for the family. He was meticulous in keeping the lawn mowed and the car polished. He helped my mother with vacuuming and prepared the turkeys for holiday dinners. He taught me to swim and to ride a bike. My parents had one of the all time great, lasting romances. Among my mother’s favorite stories was of a church dance she attended also attended by my dad and his brothers. “The Bennett Brothers” would nod to one another if they liked the girl they were dancing with – needless to say his brothers nodded to let Dad know they liked my mom, apparently he had been hoping for a chance to talk with her. He asked her to dance and the rest as they say is history. Mom told too of my father walking miles each day to court her. Big Johnny/Dad always said, she was the love of his life. They married young and both wanted a large family. They had seven children, literally over decades, myself being the youngest. Three sons and four daughters in whom together they instilled a core value system that stayed with us – honesty, hard work and education, education, education. That Big Johnny’s/Dad’s words still mean so much to all of us is a testament to his influence in our lives and the love and respect we feel for him. 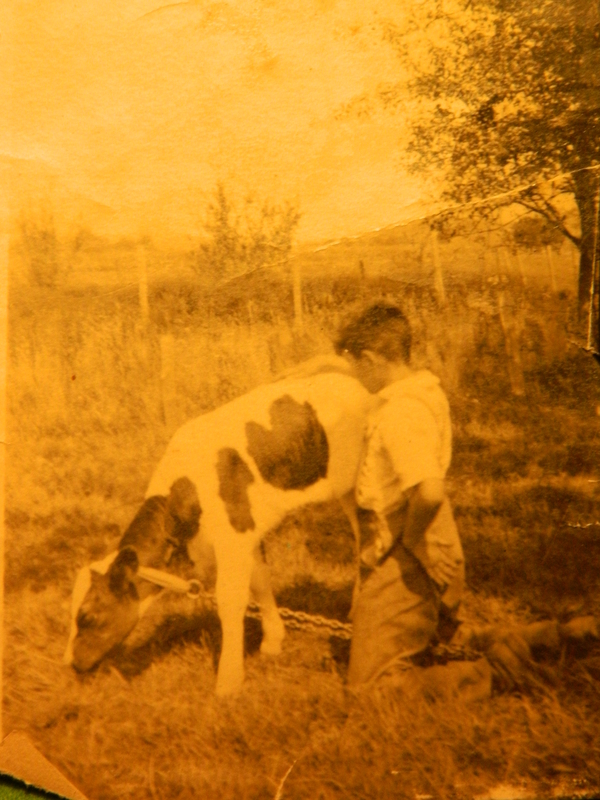 When he was a boy, my dad’s father died. It was a deeply emotional loss for his family. 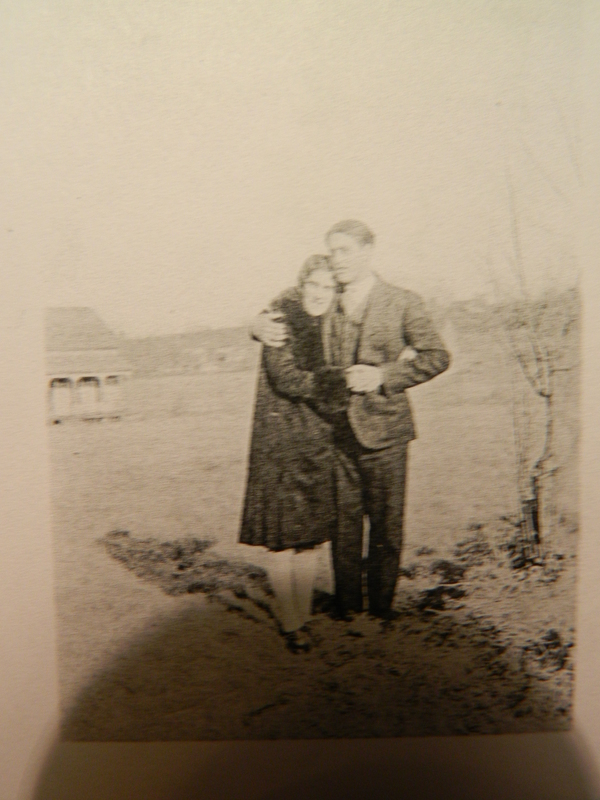 Left with five children, eventually Gram moved them to Connecticut. It was here that my father met my mother. What a beautiful story, it made me cry. We miss you Big Johnny!